Arise Real Estate Group, L.C. 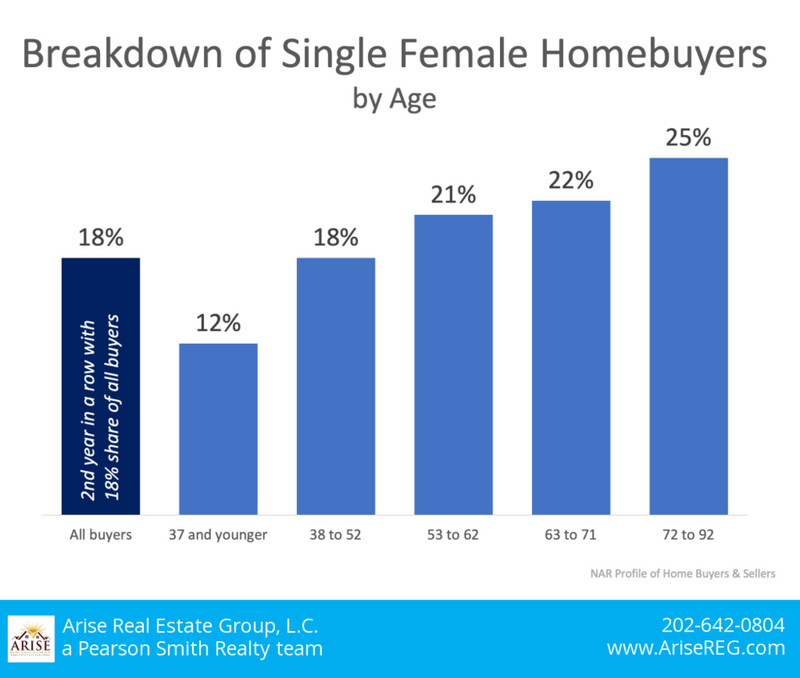 In 2018, for the second year in a row, single female buyers accounted for 18%of all buyers. In 2017, 60% of millennial women listed as the primary borrowers on mortgages were single. Newer Post4 Reasons to Buy A Home This Winter! Older PostWill Your Side Hustle Buy You a House This Year? (c) 2018 Arise Real Estate Group, L.C.